When running a call center, you may feel as if you must be many things to many people. From a teacher and instructor to a leader and a role model, there are so many parts that a manager of a call center must play. There is definitely a right way to do things when you’re running a call center, though. Consider this: employees in almost any industry and position respond better when they feel instructed and guided, rather than simply talked to by their management staff. If you’re looking to improve the way you manage your contact center, consider taking on the role of coach with your employees and consider your center in great hands. Have you ever noticed that when coaches are pictured in sports movies, they are often the motivational character that the protagonists need to change the way they think and get them headed on the right path toward greatness? That is exactly what you should be for your team – a motivator, rather than someone merely doling out demands. Rather than making employees feel as if they have no choice but to meet your standards, motivate them to do so, instead. Offer recognition and rewards for excellence. Motivate by praising and redirecting rather than rebuking whenever possible. By taking a positive attitude, you’ll change the way your employees feel about you – and about your role as their guide to excellence in the workplace. Coaches are also effective managers because they remain calm during a crisis. Things are never going to be perfect 100% of the time. In fact, call center work welcomes chaos in the form of unhappy consumers calling to make complaints, voice concerns, and ask questions that no one else has been able to answer. When these things happen, your team needs leaders who will keep their cool under pressure – and guide them in doing the same. In many large corporate settings, once-a-year employee appraisal is common. During these sessions, a manager will typically look over a readout of metrics that detail and employee’s performance and how they are contributing to overall company performance. While impersonal, this saves time, since the appraisal is only performed once annually and is generally not hand-prepared. If you’re looking to change your management style to one that is more aligned with coaching, though, this will be one of the first things you need to change. Rather than appraising your employees irregularly, you should focus instead on developing them. Make time in your schedule to offer real feedback. Use those same metrics but offer details as to how they relate to the person as an individual, as well as how they might be able to make small adjustments to enhance performance. When this kind of development is done monthly rather than yearly, these small adjustments can add up to major improvement over the course of that same year – and a great relationship between manager and employee that otherwise might never have had a chance to develop. No one can relate to a leader who doesn’t know them very well. While it may be difficult to know everyone in your contact center on a personal basis – especially if your center is very large – it is very important to take the time to know your direct employees better. Learn their names. Ask them questions about themselves, such as where they are from, and listen when they volunteer information about their lives or families. This information can help you relate to them more personally when you talk – and that can help you motivate them toward greatness on a level that nothing else is likely to. Feedback is an important part of the professional experience. 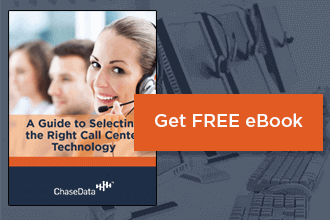 When you’re running a call center, you need to accept consumer feedback, but you also need to have a two-way line of communication open between your management and agents for feedback as well. Never expect to offer work-related feedback to your employees without also welcoming their feedback on your performance as well. This will keep you focused and motivated and give them a sense of control over their place in the grand scheme of the company. Plus, you might get some really great ideas from one another, if you’re willing to take that feedback to heart! Be sure also that the feedback that you offer is relatively small, straightforward, and easy to understand. This will make it actionable and make it more likely that your employees will be able to carry out that tasks you’ve asked them to when delivering the feedback. It will also get your staff in the habit of expecting smaller pieces of feedback, so you never have to offer anything extensive if you don’t have it to give. There is a lot to be said for a manager or supervisor who jumps in and demonstrates a task and its proper performance rather than simply instructing and expecting it to be performed correctly. The former is what sets a coach-style manager apart from a boss; a coach isn’t afraid to show their team what they expect of them in a very real sense. If you’re looking to make major improvement in your team’s performance, show them how it’s done yourself. Who better to demonstrate how to do it right than someone who knows the business well – someone like an experienced, coach-style manager? When you roll up your sleeves and show your staff exactly what you’re expecting – and that you’re capable of doing it yourself – then they’re more likely to do it themselves and to trust you with future questions about the job. Need more help with running a call center with these coaching techniques? Contact the industry experts at ChaseData. We have everything you need to help your employees succeed – and take your call center to the next level of success in the coming year.